We learned today that Channel 4 plans to smash a 300 seat passenger jet into the desert filled with data collection sensors and video cameras as a scientific experiment as reported in the Guardian. "Two pilots will parachute from the 300-seat airliner after setting it on autopilot to crash at high speed into the desert. The plane will be loaded with cameras and sensors recording the impact of the crash, which Channel 4 said would provide invaluable information about how planes react in potentially fatal accidents. The time and location of the crash are being kept under wraps by the broadcaster, which will air the documentary, Plane Crash, next year." Those of us who have studied one of the most horrendous and controversial events in history, the 9/11 attacks know that the history and study of airplane crashes have always proved to leave massive holes, fire, bodies and a twisted plane smashed across a large debris field. All of the plane can typically be reconstructed for forensic analysis, yet on 9/11 the laws of physics were suspend that day. there are people even on this site who seem to believe that planes can just crash and disappear leaving precious little wreckage. Still, I'm looking forward to seeing this test crash when it occurs. Adam Syed on Fri, 11/13/2009 - 2:59pm. The basic underlying assumption that one can know exactly how the damage should look from an event they have never before witnessed personally, nor which has ever happened in history, is the fallacy at work here. The closest crash to the Pentagon crash is the F-4 Crash Test, in which a plane hits a wall of concrete blocks. Crashing in the desert is not going to replicate anything about a plane crashing into a masonry structure. And unless it replicates the speed and trajectory of FL93, with the same type of resistance of the soil, it's not going to necessarily be much like that crash either. * The size of debris from a jetliner crash is highly dependent on the nature of the crash. Whereas a plane that skids and bounces on the ground will likely survive in one or more large pieces, one that flies directly into the ground will not. A 1992 report by Sugano et al describes an experiment involving the crash of an F-4D Phangom jet fighter jet into a 10-foot-thick concrete block at 480 mph. In the experiment, the fighter is reduced to confetti, leaving no large pieces of debris. The crash of an F-4 into a concrete block at 480 mph, though different from the crash of a Boeing 757 into the heavy masonry facade of the Pentagon at a similar speed, does suggest that the jetliner crash would also leave no large pieces of debris. Some skeptics of the official account of the 9/11/01 attack maintain that the apparent paucity of aircraft debris at the crash sites -- the World Trade Center, the Pentagon, and Shanksville PA -- is evidence that jetliners did not crash there. Such arguments are based on several assumptions, including that jetliner crashes always leave extensive debris with easily recognizable pieces. 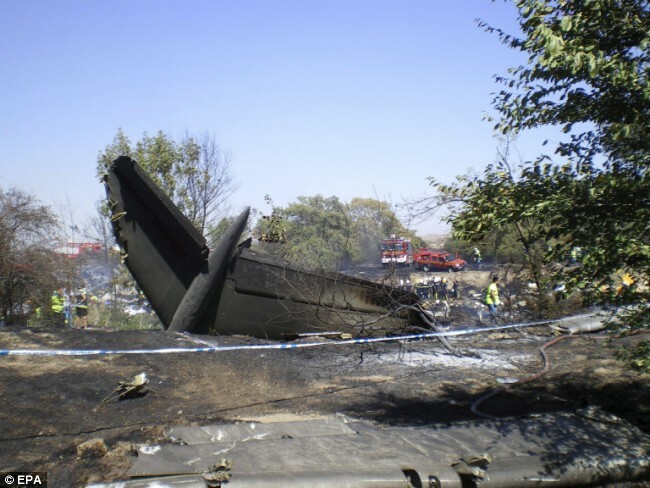 However, one does not have to look far to find numerous examples of crashes of jetliners and cargo jets that left almost no recognizable debris, such as those listed here. Victronix on Fri, 11/13/2009 - 3:20pm. "The basic underlying assumption that one can know exactly how the damage should look from an event they have never before witnessed personally, nor which has ever happened in history, is the fallacy at work here." Adam didn't suggest he knew exactly what should happen. Also, we encounter 'novel' situations all the time, and though we haven't been in the same situation before, we are still able to make useful predictions. Would you ascribe this fallacy to those questioning the WTC collapse/demolitions? The Sandia F4 test seems to involve a much smaller plane than those on 911. Do you have any links to reports on how much debris was recovered? The video seems to show pieces flying away, but the tape is cut short while the impact point is covered in smoke. The photos seem to involve some smaller planes too. And even though they are quite distant and low res, I can still see lots of debris, much of it large. influence device on Fri, 11/13/2009 - 4:20pm. the lack of debris near Shanksville or at the Pentagon more suspicious? influence device on Fri, 11/13/2009 - 3:22pm. They're both equally suspicious. I'm about to start delving into Flight 93 research, having studied the Pentagon extensively for the last several months. Adam Syed on Fri, 11/13/2009 - 9:16pm.